There’s no one-size-fits-all when it comes to finding the right pet sitter to meet the specific needs of you and your pet. Finding a pet sitter to provide the right pet-care services requires an investment of time—time to do phone interviews, conduct in-your-home meetings and thoroughly check references on those you’re considering hiring. 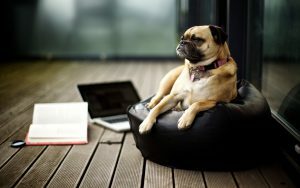 Does the pet sitter (or agency) keep regular office hours? A professional pet sitter should have a schedule of office hours. If you left a message inquiring about services, how soon was it returned? All phone calls should be returned within 24 hours. How much notice does the pet sitter (or agency) need in order to schedule your request for a pet sitter? Is the pet sitter insured? Does the sitter have a clean criminal history? Does the pet sitter meet with you and your pet(s) in advance? Is there a charge for this in-home meeting? Initial interviews allow the pet sitter to meet with you in your home, interact with your pets and discuss services and business policies. These visits are highly recommended for both pet owner and pet sitter. How much experience does the pet sitter have in caring for your particular type of pet? How much time does the pet sitter spend in your home to care for your pet(s)? Does the pet sitter have a website that you may peruse? What contingency plan does the pet sitter have in the event of inclement weather or natural disaster while caring for your pet(s)? What does the pet sitter do if medical care is needed for your pet? How does the pet sitting agency screen and train their pet sitters? How will the pet sitter confirm your safe return home for the care of your pet(s)? Your pet sitter should call to confirm that you have returned home at the expected time or ask that you call to confirm your return. Will the pet sitter provide you with an evaluation or rating form of their services? A service rating form, either left at your home or sent by e-mail, is the hallmark of a professional pet sitter who wants to ensure client satisfaction. What are the payment terms? Some pet sitters require payment in full for first time customers while others require a deposit upon reservation and balance paid at the end of the assignment. There is no industry standard for payment terms, so be sure you understand in advance the terms of the pet-sitting business you choose to work with.